I know nothing about cross country skiing, only that I'm interested in trying it. I was given a set of cross country skis with this binding on it. Can anyone help me identify it? I've been doing some searching, but am not sure what I'm looking for and haven't found anything like it yet. These bindings are n Rossignol Advantage ar skis. Any help would be appreciated. Hopefully this forum gets enough traffic that someone will be able to help. 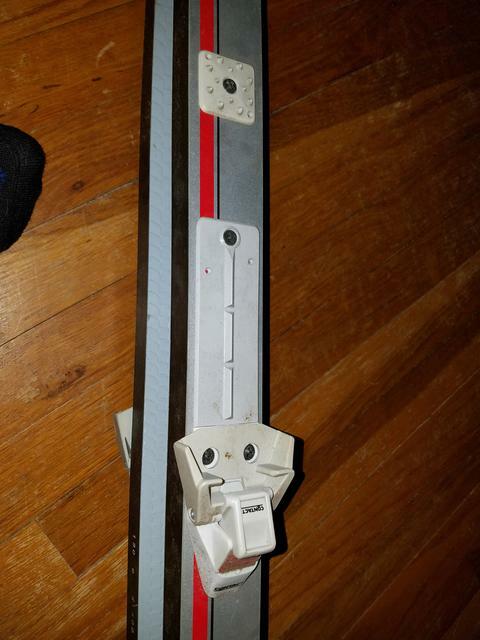 Re: Identify these ski bindings? Hi Theresa, I've never seen anything like those bindings before! 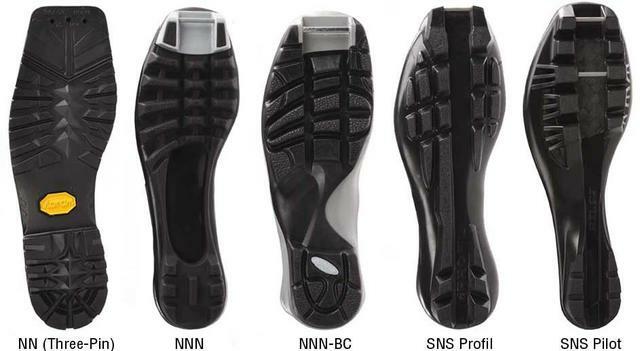 It's possible they are compatible with the "old style" SNS boot with the bar that sticks out the front (photo attached)? It's not clear from the picture how the binding mechanism opens and closes, but the plastic space between the boot and the mechanism is odd. Do you have the matching boots? 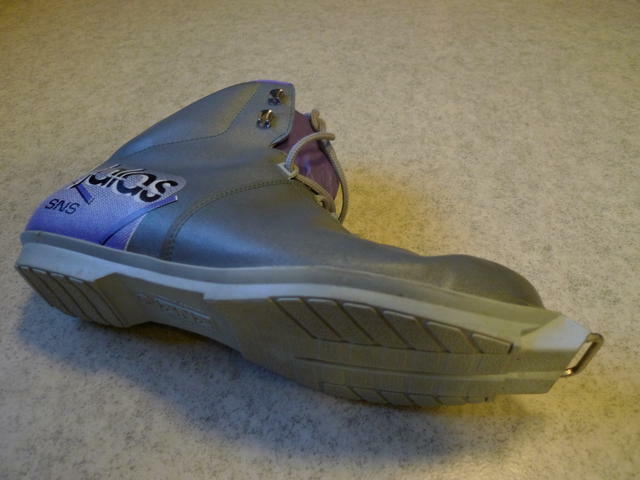 A photo of the bottom of the boots may be helpful. I've attached some of the common boot systems. If you don't have the boots, you'd probably be better off getting the bindings changed to a modern nordic system like NNN or SNS Profil as you'll probably have a heck of a time finding any gear to go with it. Thanks for your response. I do not have the boots that attach. Just the skis, unfortunately. It appears to me that it's some kind of T-Bar or something, but I haven't seen anything like it in my searching on the internet. I've seen both of those pictures you posted and it doesn't appear to me that any of those would work. I haven't had a chance yet, but intend on going into a local sporting goods shop to see about maybe getting new bindings. I believe them to be LOOK style bindings. They were from the mid to late 80's. No recent boots will fit them. LOOK got into nordic skiing for only a few years unfortunately. Thanks, learn something new every day! LOOK basically invented the clipless pedal system in use by all road cyclists today, it would make sense they would try to get into the nordic market as well. I think they started with downhill bindings, looks like they're still making those.